Most parents can understand that flying with a kid on a flight can be a stressful task especially when the little one starts acting out. In the face of such a situation, what do parents usually do? 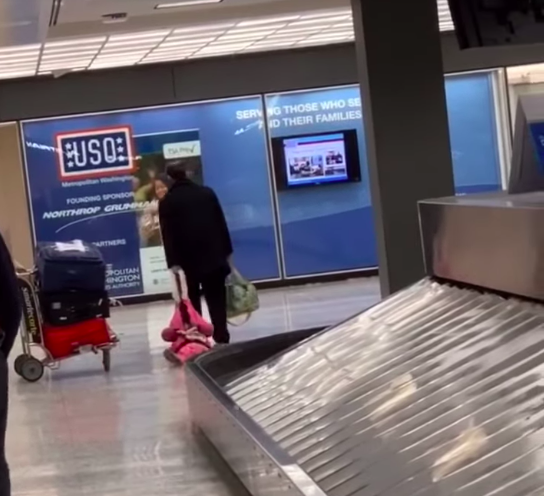 One exasperated dad traveling through Washington Dulles Airport in Virginia was caught on camera handling his stubborn daughter in a rather funny and unusual way, and it has had the internet in stitches. 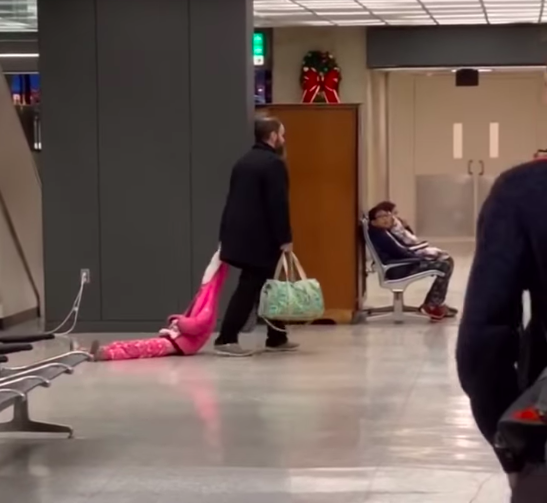 On New Year’s Day in 2019, many passengers at the airport likely stopped dead in their tracks and did a double take when they saw a man dragging a little girl—apparently his daughter—along the floor by the hood of her pink jacket. 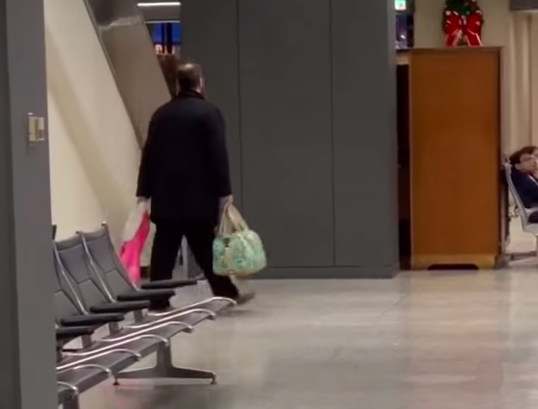 The seemingly frustrated dad was focused as he pulled the girl through the concourse as if she were a piece of baggage. Another girl (probably his other daughter) was seen following a few feet behind, carrying two backpacks while wheeling a Dora the Explorer suitcase. 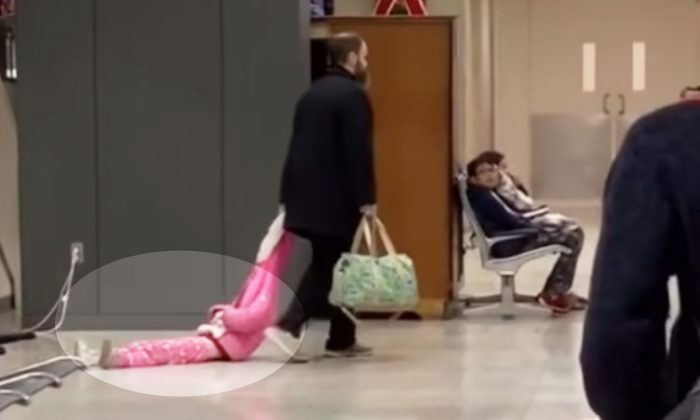 The reason behind the dad’s action remains unknown, but it can be presumed the exhausted dad resorted to this desperate measure to deal with his bratty daughter, so as to ensure the whole family could catch the flight on time. 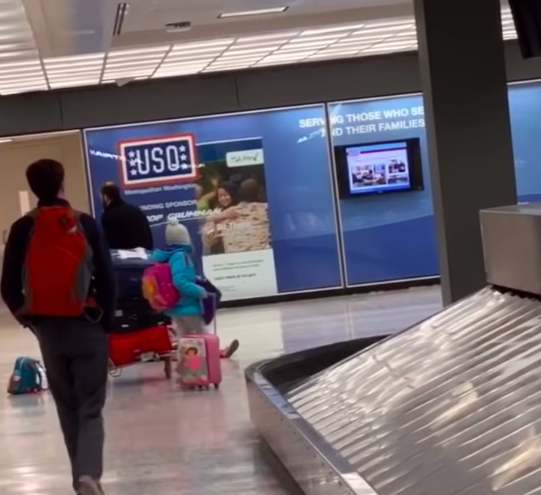 As the girl was being towed around the airport by her dad, she remained silent with her arms folded and placed on her stomach. It wasn’t clear if she was awake or sleeping. This unusual and hilarious sight was caught on film by an unidentified onlooker, who later uploaded it on social media. 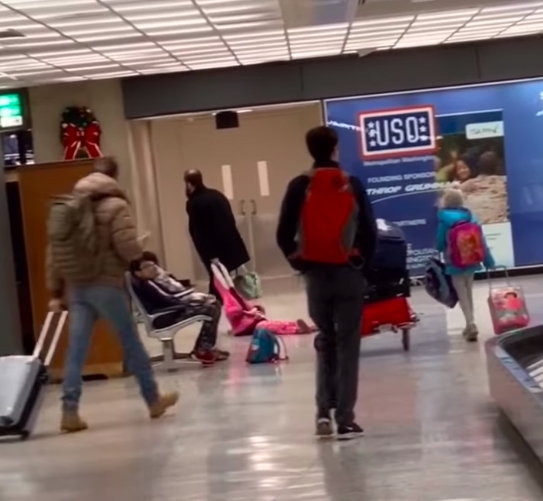 “I was waiting at Dulles International Airport to pick up my girlfriend on New Year’s Day when I noticed this father literally dragging his daughter through the airport by the hood of her jacket,” the person who recorded the video wrote, according to the description. “She wasn’t screaming or anything, just hanging out while another girl, presumably her sister, was walking 20 feet behind her out of embarrassment,” he added. The video ended up spreading like wildfire, racking up more than 2 million views on YouTube. The frustrated dad’s unique parenting approach has certainly raised a lot of eyebrows. Many found it hilarious, while most parents could relate to the father. “Oh man, I’m sure every parent has reached this level of frustration,” one user wrote. “I totally get it as a parent. Sometimes your kids won’t walk or do what you want them too. Gotta do what you gotta do to catch a flight. Good for him for being so calm and collective lol,” another concurred. “Wish my dad was that cool,” one praised. “Give this man a medal!” another wrote, applauding the dad for his cool action. We’re glad the father and daughter seemed perfectly fine and unfazed throughout! Sometimes, parents tend to get a little creative when it comes to disciplining kids.